The sedan variant of the 1 series currently is built and sold only in China. The hatchback version is produced in Germany. SHENYANG, China -- BMW Group has been granted a license by Chinese authorities to export vehicles manufactured by its local joint venture BMW Brilliance, opening up the possibility of China-built BMWs being sold to customers in Europe or the U.S.
German premium automakers have steadily expanded production in China at their joint ventures with local companies but plans to export vehicles so far have not been on the agenda, in part because cars from China have a poor reputation for safety and reliability in Western markets. BMW now believes the quality of cars produced in China has reached the level of those built in Germany or the U.S.
"We have an export license for the JV but so far we haven't decided on exports since we need the production for the local market," said Olaf Kastner, head of BMW in China. BMW built just over 300,000 vehicles last year at its two Chinese factories in Dadong and Tiexi, located 700 km (435 miles) east of Beijing on the outskirts of Shenyang near the North Korean border. Volumes have more than doubled since 2012, as the company added compact models such as the 2-series Active Tourer minivan and X1 SUV to production of 3- and 5-series sedans. BMW Brilliance's capacity in both plants has just been increased to 450,000 cars annually with an expansion of the Dadong factory. Next year a sixth model, the X3, will begin running off the lines in Dadong, making it the third assembly plant where the SUV is built alongside lead plant Spartanburg in the U.S. and in BMW’s factory in Rosslyn, South Africa. 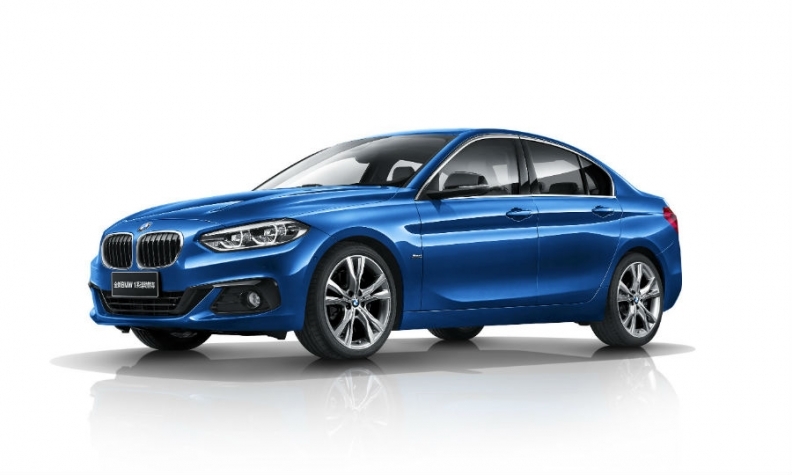 Perhaps one model that may make most sense to export is the 1-series compact sedan, which is built in Tiexi and currently only sold in China. Given the country is the world’s largest market for full-electric vehicles, these could also be an option, especially since construction is underway to include high-voltage battery manufacturing in the joint venture's powertrain plant, BMW's only engine factory outside of Europe. For the moment, however, BMW says is has no plans since "everything is still being absorbed” locally, Kastner said. When asked why BMW spent 12 months acquiring the license, if it has no plans to export from China, a source who declined to be named because he was not authorized to speak publicly about the matter said politicians had pushed and prodded the automaker into applying for one. "It's the government's declared goal to foster vehicle exports. We told them we would only consider it if it makes economic sense," the source said. Volvo is the first premium automaker to export China-built cars to Europe and the U.S. The company has exported its S60 to the U.S. from Daqing since 2015. It began exports of its S90 flagship sedan to Europe from Daqing this month. In the past Honda exported China-built Jazz models to Europe.